The world of Star Wars is an immense one. What started as a single film debuting in 1977, turned into an entire universe of lore and spawned a collection of 8 movies, multiple television shows, amusement parks, comics, toys, games, art, and books. It has become a part of pop culture lexicon. There’s even a calendar day that’s dedicated to all things Star Wars. While Star Wars Land doesn’t open up until 2019, there will still be plenty of Star Wars-related things to see and do at Disneyland when I get there in October later this year. With the explosion of Star Wars popularity, it can sometimes be difficult to keep track of who’s who and what’s what. 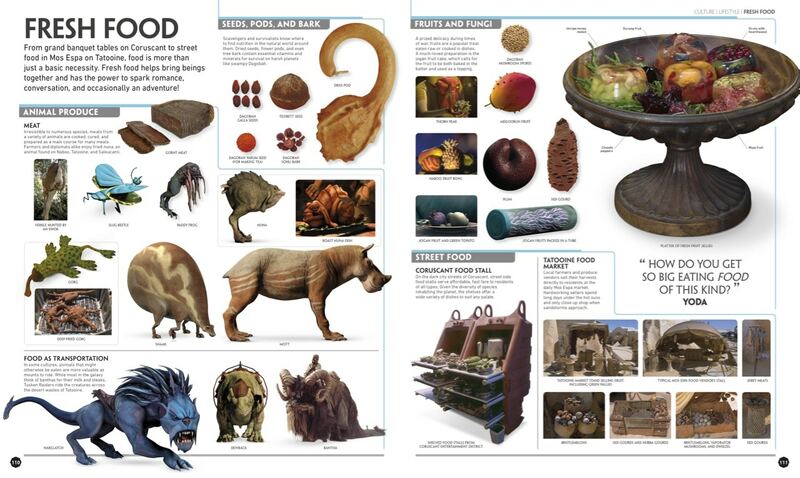 From the different mechanical droids to colourful catalogue of alien species, Star Wars: The Visual Encyclopedia (DK Publishing, 2017) makes sense of it all. Featuring thousands of unforgettable images, the must-have hardcover will keep seasoned fans or curious newbies busy for hours upon hours. I keep the book on my dining room table so that I can flip through while I’m eating. I’m consistently learning things I had no clue about… and while I’m no Star Wars expert, I consider myself a dedicated fan. 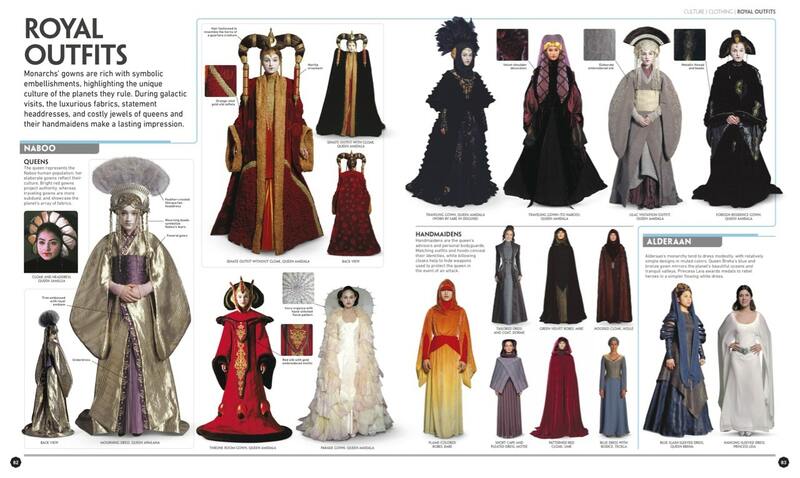 Star Wars: The Visual Encyclopedia is not just an essential read for me but for the boyfriend as well. Now he no longer has to answer my annoying questions like is Chewbacca the only Wookie left? He is not according to page 50. 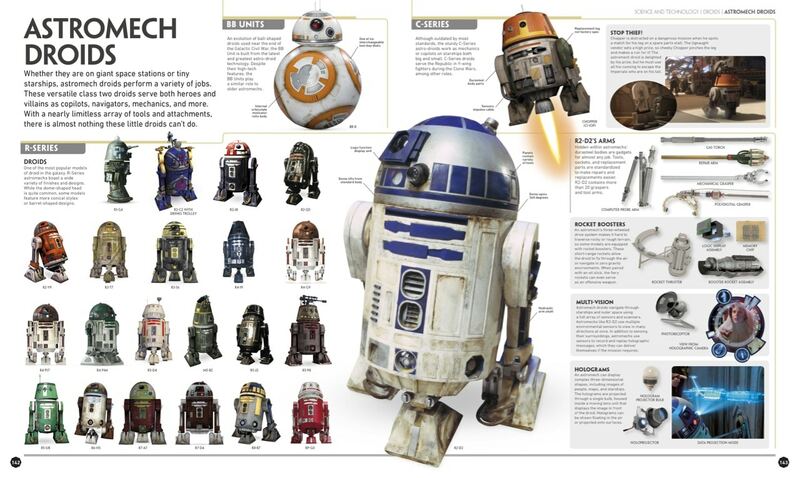 How many different kinds of droids are there? Fact check Pages 126-147 and we’ve got over 125. Who has the biggest ship? Looking at page 182, it looks like the Star Destroyers still hold that title. That’s just a few of the many, many questions he’s been forced to answer. Now that DK Publishing has delivered this masterpiece, he’s free to watch the movies in blissful silence. 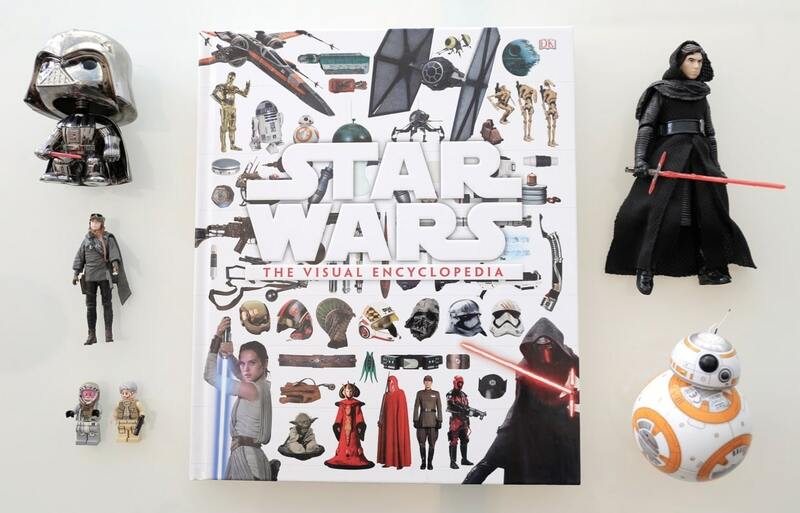 Coincidentally, the release of Star Wars: The Visual Encyclopedia coincides with May 4th, also known as Star Wars Day – observed by fans of the movies due to the pun on the catchphrase “May the Force be with you”. While not officially created by Lucasfilm, the Walt Disney Company has since taken observance of the holiday as a chance to hold several events and festivities at Disneyland and Walt Disney World. In an effort to celebrate Star Wars Day 2017, don’t miss out on the chance to pick up your copy of this must-have addition to the world of Star Wars collectibles and memorabilia. There are lots of characters I enjoy in the Star Wars universe but none more so than the original droid buddy comedy duo, R2-D2 and C3-PO so when I saw that they have pictures of all the brothers, sisters, and cousins of R2-D2, I thought it was fascinating to be able to see all the different variations on the R2-D2 look. Next time you’re traveling around the galaxy you’ll want to have these simple phrases and words down. From “Let’s get outta here!” in Droid Binary to “Tentacles up!” in Huttese to “Hooray!” in Ewokese, this book has you covered. You can even learn the alphabet for 6 different languages. Not only will you know how to speak the language, but you’ll never be caught accidentally wearing nightwear to a funeral or bridal wear to the opera. With sections on royal outfits, everyday wear, and work clothing, you’ll never have to worry about committing an intergalactic fashion faux-pas. Knowing the history of the Star Wars movies, the important moments, and the order in which it all happened can be tricky but Star Wars: The Visual Encyclopedia has a lovely two-page spread to help walk you through each step of the way from Episode 1 to Episode 7. After this, you’ll be all caught up and ready to see what happens next December when Star Wars: The Last Jedi hits the silver screen. I had no idea there were so many different types of lightsabers. So many that this book needed six pages to display them in all their glory. You’ll find the regular lightsabers we’re used as well as a whole bunch of unorthodox lightsabers – definitely what I would pick given the choice.